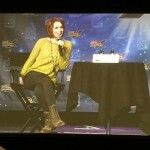 Let me just tell you that I love love love Felicia Day. She is just the coolest of the cool. She embodies geek culture in a positive and influential way…. 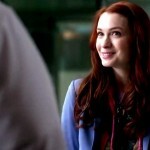 Felicia Day plays recurring character Charlie on the hit show Supernatural. A fan favorite, Charlie is an intelligent, geeky hacker that helps the Winchesters in their fight against supernatural creatures…. ComicCon.tips is a 3rd party informational blog and is not affiliated or associated with any comic convention.